Dolphin and konqueror are 2 powerful file managers available for the KDE desktop on linux. Both of them support accessing remote file systems over protocols like ftp. It will then ask for the password and open the remote file system like a local file system. The user can navigate and work with the files very easily. Ssh is a protocol to manage remote systems over the terminal. There is a related command called scp that can be used to copy file across the remote and local system from the terminal. However when it comes to moving files, its a lot easier with a gui interface like a file browser. 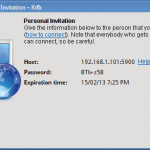 It will then ask for the password and will then open the remote file system just like ftp. Fish stands for File transfer over SSH (File transfer over shell protocol). And it can be used very much like ftp. Read the wikipedia article for more information. Ftp clients like gftp also support using ssh for file transfer. It should be noted that Fish is not "Ftp over SSH". Along with the FISH protocol, the same OpenSSH server provides another great service for file transfer, called SFTP. The usage is same as FISH and it allows for remote file system management just like FTP. The host key for this server was not found, but another type of key exists. An attacker might change the default server key to confuse your client into thinking the key does not exist. Please contact your system administrator. This will remove the ssh key for example.com that was saved earlier. Now try connecting with sftp and it shall prompt again to save the key file and will work fine. The possibility in Dolphin to do file transfer to another PC was unknown for me, but it great and handy tool. 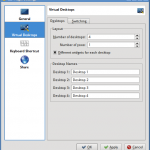 Fist establish the LAN connection by a switch or cross cable between the two Linux PC. Test the communication between the two PC by pinging the IP adresses, for example 10.0.0.1 and 10.0.0.2. Then install the openssh-server op both PC’s! You will prompted to type the password for the target PC were the files will be copied.